The 6.9-inch Xiaomi Mi Max 3 offers even more display area to users than its predecessor, and the hardware has also been slightly updated. We clarify in our review what buyers of this Chinese import version can expect for a price of about 250 Euros (~$288; currently $250 to import to the US). Playing a particular angle in any product, especially tech is a double-edged sword. On the one hand, you could limit your goals to a particular niche requirement alone and cruse though everything else, cutting corners as you please. Chances are that with a unique enough offering, you can still make the bottom line work. Overall, at this price, the performance of Xiaomi Max 3 is still very good. Inheriting the price of 1699 yuan from the previous work, whether it is the feel, battery life, photo or experience is superior, for the users who like a big screen, so it is a great choice for them. Positive: Big screen; decent hardware; nice performance; long battery life. Positive: Big screen; long battery life; decent hardware; nice performance. Positive: Large screen; nice display; large battery capacity. Xiaomi Mi Max 3 Presentato Ufficialmente: Non Solo Un Grande Display! Positive: Large screen; excellent display; decent hardware; large battery capacity; decent cameras. Positive: Big screen; solid workmanship; nice performance; good connectivity; high autonomy. Negative: High DAS; relatively bulky. Positive: Great built quality; beautiful screen; support USB-C; long battery life. Negative: No NFC. Positive: Nice display; long battery life; decent speakers. Negative: No NFC. Positive: Big screen; high quality; long battery life; powerful processor; excellent cameras. Positive: Large screen; long battery life; good price; nice performance. Positive: Long battery life; large screen; good price; decent hardware. 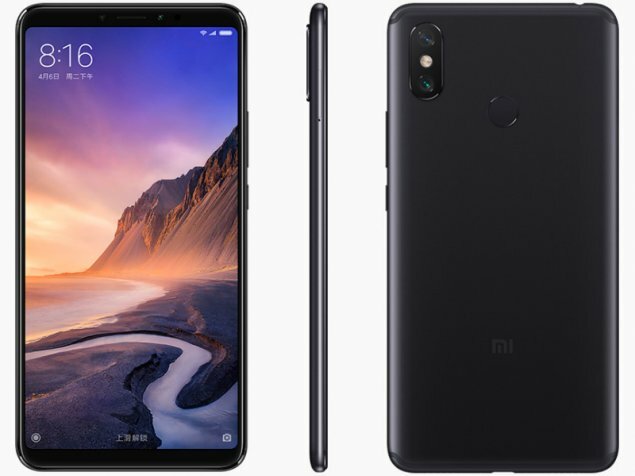 The Xiaomi Mi Max 3 has opted to continue the philosophy of its series Mi Max, through a terminal of considerable size, which will stand out from the rest of mid-range smartphones this year for its spectacular autonomy. The company achieved a pretty sleek and compact design thanks to the impossibly slim bezels and the trendy 18:9 tall aspect ratio. Xiaomi’s Mi Max line has traditionally been a mid-range offering, despite the size, and the Mi Max 3 is no different in that regard. It’s powered by a Snapdragon 636 processor and offers the choice between 4 GB of RAM and 64 GB of storage, or 6 GB of RAM and a hefty 128 GB of storage. While it’s unlikely to be the fastest phone on the block, it’s still likely to deliver good performance. The overall design language is pretty standard, even if a bit dated and has Xiaomi written all over it. A nicely rounded metal unibody holds all the internals and makes for a smooth and uniform look and feel, only disturbed by the antenna lines. On the back, it has an iPhone X-like vertical dual-camera module and a fingerprint reader in the usual shape, size, and location. On the front, the top and bottom chins aren't as impressively thin as those on the sides of the panel. Still, they don't feel large at all. The top one provides ample room for the selfie camera and sensor array, as well as a notification LED, without resorting to notches. As for the display, Xiaomi didn't cheap out and went for FullHD+ resolution. Frankly, anything less would have looked blurry at this size. It’s a 6.9-inch IPS LCD running a 2,160 x 1,080-pixel resolution in an 18:9 resolution. That gives it a pixel density of 350 DPI, making it far from one of the sharpest phones. The panel gets decently bright and quite usable outdoors. There’s a decent camera suite attached to the Mi Max 3 as well. Users will find a dual-lens system installed around the back, with a 12-megapixel main lens armed with a f/1.9 aperture. The secondary lens is just 5 megapixels and will be used primarily for depth-sensing in portrait shots. The Mi Max 3 will apparently also be able to capture 4K video at 30 frames per second, and slow-motion video at 120 frames per second, but only at 720p. The selfie shooter around the front will be an 8-megapixel lens with a f/1.7 aperture. The Mi Max 3 is packing a massive 5,500 mAh battery. Most modern flagships sit around a 3,000 mAh battery, with some particularly large batteries hitting 4,000 mAh, making the Mi Max 3’s battery utterly enormous. It’s also equipped with QuickCharge 3.0, and Xiaomi claims the battery will charge from empty to 71 percent in an hour. As a conclusion, it won't disappoint in any way as a daily driver for most average users out there. The unique offer of a huge display is one of the best features that some people will really like, especially for watching videos and viewing photos. It is a phone, it is a tablet, it has the RAM of a Windows laptop! Nope, it is only the newest member of Mi Max series. Here I have the Xiaomi Mi Max 3 with me, which I am having hard time to identify. Is it a phone or a tablet? I would have called it a phablet, but its screen is 6.9 inch, so just 0.1 inch away from being officially called as a tablet, too bad. Even if the screen is so huge, dimensions are almost identical to the Mi Max 2, just a bit bigger. This means bezels get smaller and only the screen got bigger. I don't want to get into the question of “Is it necessary?”, well it is your taste. With such size, I only feel like I am putting a brick next to my face, but again it will be you to decide if it fits your needs. Of course Xiaomi didn't produce this phone to be just big. You know what else is big? Samsung's Note series. There is an undeniable demand for big phones. This kind a surprises me, because back in the time people were asking for smaller ones. With big screen, what is more fun? Gaming, watching movies on the go. Yup, to me, the Mi Max 3 is thought for those actions. But its hardware is only mediocre I would say. So for gaming I am not sure if it will give a great performance for demanding games. But it is really a great fit for consuming multimedia. It has quick charge, so in case you run out of battery power, you can charge it up in about 135 minutes. Considering the battery size, it is understandable. Since the phone is considered to be in the mid segment, i cant praise the haptics or other stuff. They are what they are supposed to be in this price range. Of course Xiaomi devices are known for good alternatives for flagship devices, so you do the math. Cameras are eh. As you are all aware, higher pixel count does not mean better results. The Max 3 does not come with great cameras, but software makes up for it. Here is my favorite question: Would I buy it? Nope, i would not. Not because it does not perform well. But the size is not my taste. I only like phones that can fit into my pocket. Does it fit in my pocket? Well, it does, because I am a big man and have big pants. But still, it is too big for my taste and when I am using my phone, i do not like to be seen like I am blocking something. Overall, I can suggest this monster. It is cheap, packed with medium performance, has a nice screen. So yeah, if big screens are your taste and you do not want to spend too much, go ahead. 81.31%: This rating should be considered to be average. This is because the proportion of notebooks which have a higher rating is approximately equal to the proportion which have a lower rating.